Love in the Air tells the story of a love that blossoms when an ambitious farm girl from Saskatchewan and a charming musician from Ontario lock eyes one night during a wartime social. But duty soon calls, and with a ring sealing the promise of a future together, the two embark upon different paths an ocean apart. Separated for two and a half years during the Second World War, Helen Reeder, age 24 and Harry Culley, age 29 write over 600 letters, detailing their experiences and emotions, while deepening their mutual devotion. Helen writes about her work at the Department of Munitions and Supply and later the Toronto Transportation Commission, while Harry tells about bringing music to Allied troops and civilians as part of the Royal Canadian Air Force dance and concert bands. After their deaths, their letters are discovered, safely stowed away in an Eaton’s box. 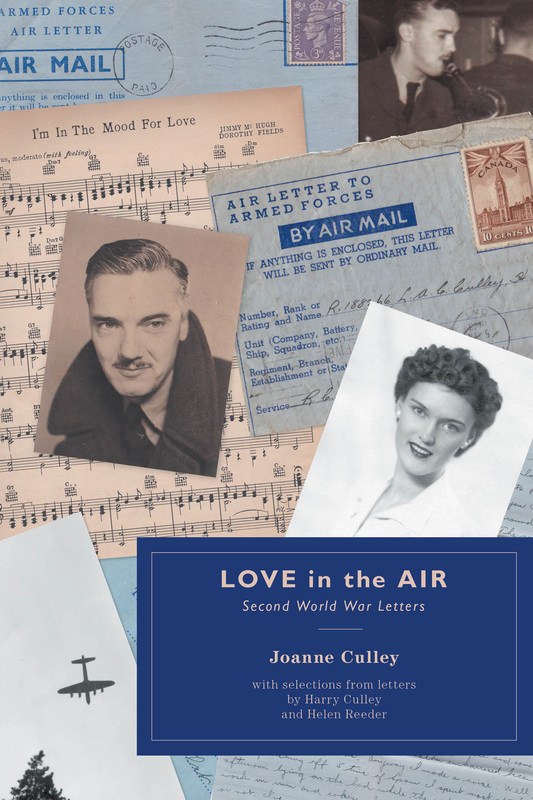 By blending excerpts from the letters with a narrative inspired by the correspondences and historical background, daughter Joanne Culley brings to life this unique story of enduring love amidst global turmoil.